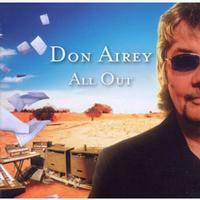 Following up his last release seemed to be a fairly swift effort, but it was a good idea for Don Airey, as this one is a little more up my alley. It's a great album with some sizzling hot things going on. It’s based on a strong AOR feel, combined with some prog and hard rock factors not to be denied on this new release from one of the kings of keyboards, and Deep Purple stalwart. He is teamed up with some great musicians including Joe Bonammasa (who seems to have one foot in everything lately) on one piece. Every track has something interesting and enjoyable about it, as Airey aims at the corners of the spectrum for inspiration. There is no use wasting time, as this goes right into a wild guitar riff. It’s a very bold and exciting track, with a bit of a Judas Priest feel in the vocal melody. The sound is amazingly high in quality on this release, along with how this hits you in the face, it's the first thing noticed, if you're geared for good sound. Overall it's a killer opener, with Airey taking a back seat for the most part, as there is surprisingly no keyboard solo here. There is more of a straight rock feel on this one, than any real AOR factors. This is something of an over the top romp, as Airey takes complete control from the get go, and it seems to be all his here on this organ driven instrumental. Talk about getting hit in the face, this deals out several death punches and then some. This is just an all out blazer of a tune, with some of the most amazing keys to be heard around these days. In this case, they are not just singing about people, but listening to the ones in your head., This is another track in the same vein as the opener, but it's a better track in many ways, and it always helps when Bonamassa is in the house, as this track features him on guitar. This starts out with some interesting keys and a multi layered effect, before the guitar takes the spotlight. It just doesn’t let up, because it goes on to lead the track with a great lyrical quality. This makes it the guitar driven instrumental of the album, with some great keys as well, for texture mostly. This leans a little more in the AOR direction. This is like pure AOR at it's modern finest, but it does try for a second or two to be heavier than it really is, but it doesn't take over, and the Moog solo from Airey is of the cosmic nature I love so much of his. This solo is a killer touch indeed! This begins with some sweet keyboard flurries, and goes into a variety of directions as the second keyboard driven instrumental here. It's another storming effort from Airey, and once again shows why he is such a sought after player. We are taken all over the place with his keyboard wizardry. Although I’m not sure why this Hendrix cover was included, it doesn't disappoint, that's for sure. It does take some getting used to the idea of, and by then it's either respected or rejected, depending on who's listening. 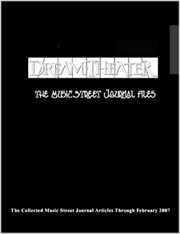 The only way to encourage readers is to pick up a copy and judge this one for yourself. I have accepted it by now, so I can recommend it, even if it's far from the best thing on All Out. In order to even out the score, this is the second guitar driven instrumental, and the better one to my ears. Airey sounds very Deep Purple-like on this one, hopefully indicative of what's to come later on next year if that group gets their plans worked out. I really like this one as much as anything else here, as it's another killer track. Even though this is very complex, it sounds like the rocker of the disc. Very theatrical vocals are included here. They are pretty good, as this is by far the best vocal to my ears, as Airey really stretches out. The prog factor reaches near the ceiling here. This is a tune of another vibe altogether to be found on this amazing effort by one of the busiest keyboard players around. It’s an excellent closer to a fine album that goes by so fast you want to reach out and stop it from time to time, to catch your wind for the next track. Some of it is literally mind blowing though, and this is one of those examples, as Airey rings of Keith Emerson on this tune with several mood changes. The vocals are brief and kept til near the end, keeping out of the fantastic early parts of the arrangement. This is one enjoyable ride, and it all gets driven by this groovy Pink Floyd style keyboard patch. This is fabulous!